I just finished a novel yesterday. Whenever I mention this, people say ‘oh, what were you reading?’ That’s people who weren’t taking part in NaNoWriMo, the (inter)national novel writing month, which is every November. November, it seems, is a good time for doing things you wouldn’t otherwise do, such as growing a moustache (Movember), or writing the aforementioned book. I did Nano last year, and it produced the best book I’d written thus far. This year, though, I wanted to do the whole thing exclusively on the iPad. The iPad has two huge benefits over a laptop. First, it’s truly portable. I always thought my laptop was portable until I started with the iPad. The truth is, anything bulkier than the very latest MacBook Air is not so much portable as luggable. If it has a hard disk, you have to be careful how you handle it. Screens are fragile, as are laptop keyboards. Don’t believe me? Try this experiment (your liability not mine!) just lift your laptop about five inches from a hard stone floor and drop it. Actually, the result of dropping it wasn’t the experiment — the experiment was that you didn’t do it. Why not? Because deep down you know that a drop like that might well kill it. The other benefit is absence of distractions. The iPad does one thing at a time — well, you can listen to music while you type, but the only way to quickly update Facebook is to leave your word processor and go on to the web browser. If you do that, you are making a conscious decision to distract yourself. On a desktop or laptop, open windows beckon to you. Facebook wants you to check it, the Cricket Score must be looked at (that’s a bat and ball game if you’re reading this in American), email must be answered. Actually, when you are writing a novel, everything becomes a potential distraction. Marketers should identify the month of November and target it for their spam emails, because even the dreariest marketing email (“Get Free Cable Insurance When You Buy From USB-is-US”/”Spa Days for the Over 90s — Hurry”) suddenly becomes worth reading. If you want to release a trivial but addictive game, do it in November. 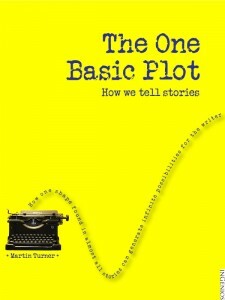 The budding novelists will flock to it. The two other components of my iPad writing regime are a bluetooth keyboard — handy for that typing stuff — and a little-known word processor called Daedalus. Daedalus is so hard-core iPad that it doesn’t even have a search function. Instead you swish and pinch pages, and it is all so much like paper that you almost want to tear off the sheets and hand them to people. The other question you want answered, I suppose, is, what’s the novel about? 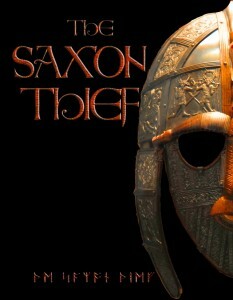 Well, in 2009 an enormous horde of Anglo-Saxon treasure was discovered near Penkridge in Staffordshire. Known as the Staffordshire Horde, its origins are completely unknown. All the treasure is damaged in some way, and all of it is taken from military equipment. There are the remains of 150 swords there — a fantastical number, given how valuable the Saxon pattern-welded weapons were. The Saxon Thief is the story of how it came to be there — and also the story of how the last Roman city in Britain, Wroxeter. It’s about heroes and weapons, about the dating of Easter according to the Ionan calendar, about the death of kings, about revenge, forgiveness, and young love. 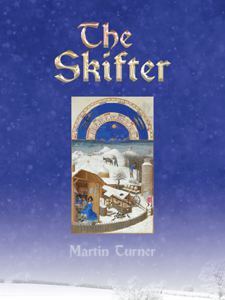 Most of all, it’s — as far as I know — England’s earliest mystery story, set in AD 660. It ends with fire, and flood. One day, you may get to read it.